Imagine you’re relaxing at home after a hard day’s work. You log in to Facebook and see a post by one of your employees. He’s laying into you and your business, telling lies and revealing company secrets. You feel shocked, hurt and betrayed. You’re not sure what brought this on, and you have no idea what to do next. Does the law allow you to sack him? If this fictional scenario were true, then yes, you could fire the employee. Because his post was slanderous and contained confidential information, you’d be well within your rights to dismiss him. The problem is that real life tends to be less straightforward. 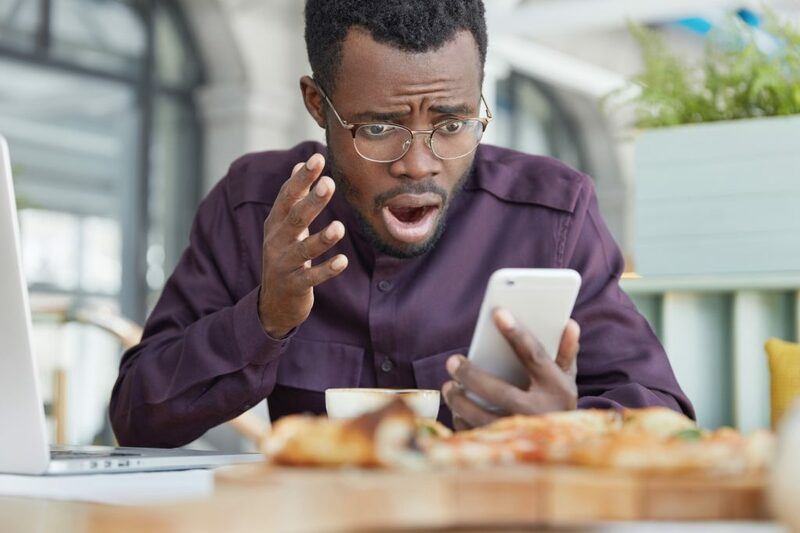 You need to be careful if your employee posts on social media about being mistreated at work or reveals wrongdoing at your business. If your employee is claiming on social media that another member of staff is treating them badly, you may need to carry out an investigation to find out the truth. Speak to your employee in person as soon as possible. Get as much information as you can. Reassure them that you’re taking their allegations seriously and will take action if necessary. That said, you should also remind them that social media isn’t the best place to discuss such issues. Whistleblowing happens when an employee reveals wrongdoing at your workplace. The law doesn’t recognise social media as an ideal place to report malpractice, but you’ll be vulnerable to a claim of unfair dismissal if you sack any whistleblower. Websites like Glassdoor allow your employees to leave anonymous comments about working for you. These websites can have a big impact on your recruitment. At Peninsula, 90% of candidates tell us they looked us up on Glassdoor before their interview. If someone posts a negative review while they’re still working for you, avoid carrying out a witch hunt to try and find out who it is. This will create a hostile atmosphere and will make you look paranoid. Glassdoor allows you to reply to reviews. Without being aggressive, express your regret that the reviewer feels the way they do and give your side of the story, if necessary. You could also hold a meeting with all your staff and encourage them to inform their line manager if they have a problem. Because social media use is so widespread—58% of people in the UK have a Facebook account—you need to give your staff clear guidelines on what they can and cannot say about your business online. The best way to do this is with a social media policy. • Brand guidelines: how staff should talk about the company and its products. • Etiquette and engagement: explain how, and if, you want your employees to respond to both positive and negative comments about your brand. • Confidentiality: outline what information staff should never share on social media. • Consequences: let employees know what action you’ll take if you find out they aren’t following the policy. You could include a summary of your social media policy in your contracts of employment and have a more detailed version in your company handbook. If your employees know how you expect them to behave online, they’ll be far less likely to damage your reputation.